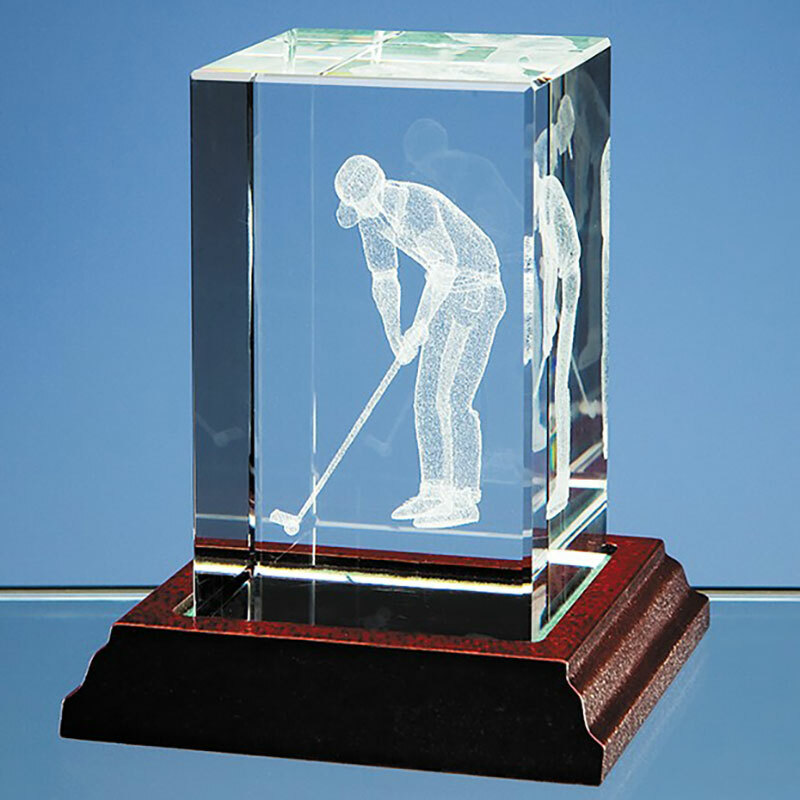 These golf crystal blocks make outstanding awards for golfing events and corporate golf days. Created using advanced laser technology, they feature a 3-D image of a putting golfer engraved inside in a hand polished optical crystal block. They are perfect for a 'longest putt' clubhouse award. Ideal for engraving with event or achievement details, these golf crystal blocks are offered with low-cost engraving from Crystal Awards Supplier.